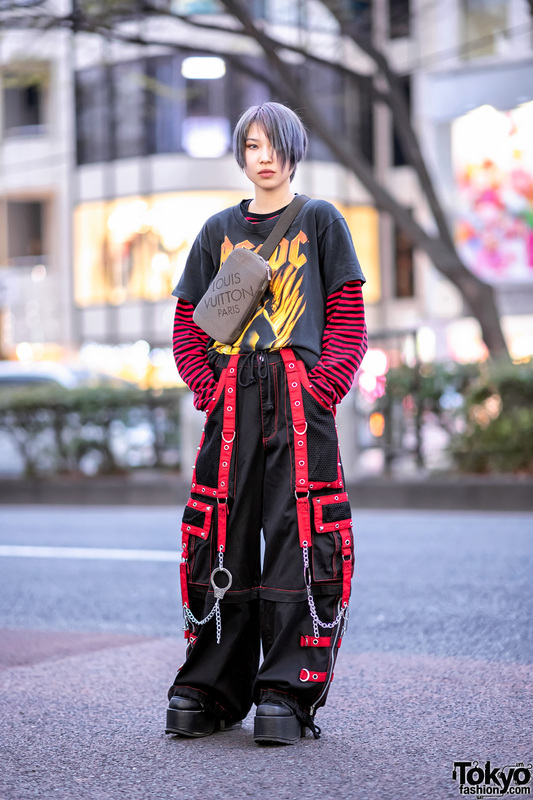 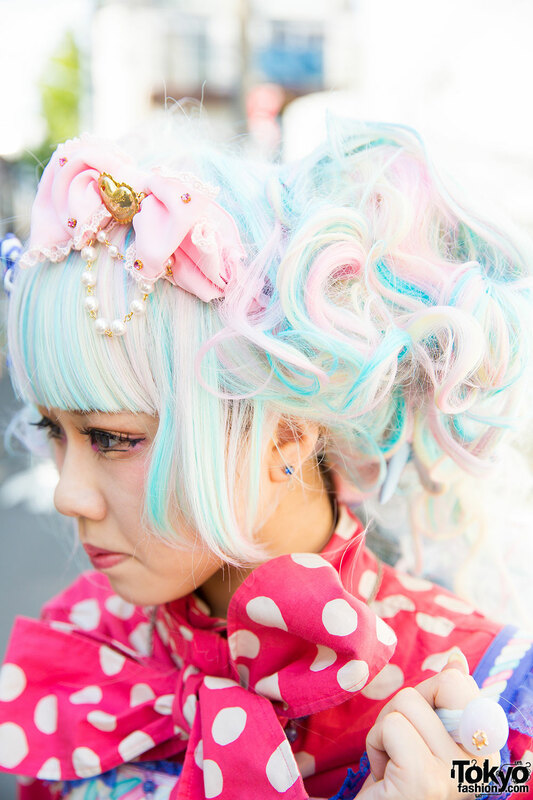 We met Natsuki with pastel colored hair and whimsical fashion on the streets of Harajuku. 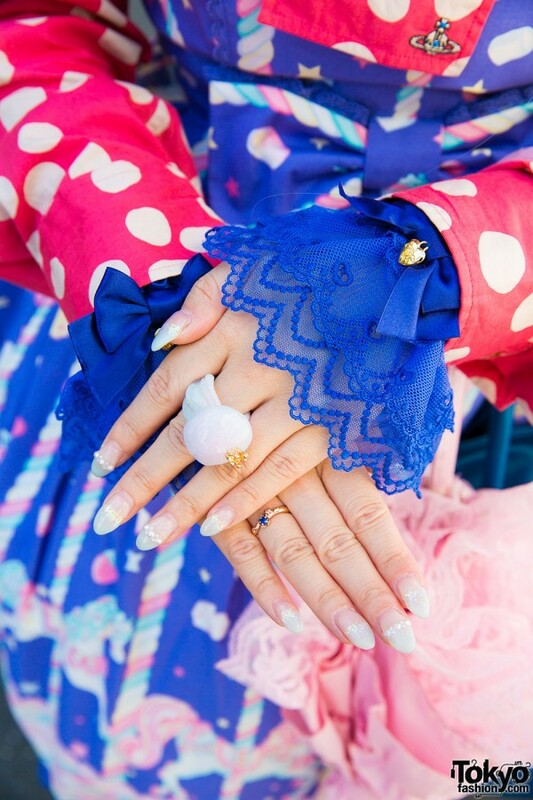 Natsuki’s ensemble consisted of a red, polka-dot Vivienne Westwood top paired with a purple print jumperskirt from Angelic Pretty, which she then jazzed up with Angelic Pretty accessories such as hair ribbons and rings. 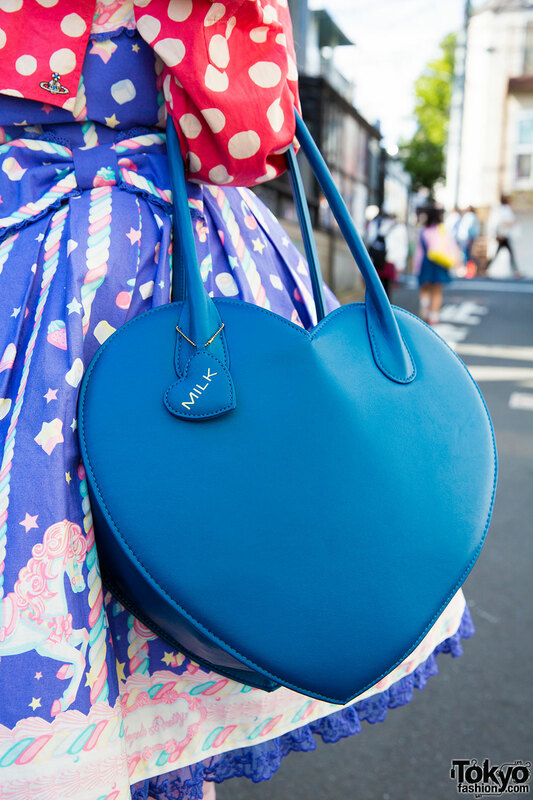 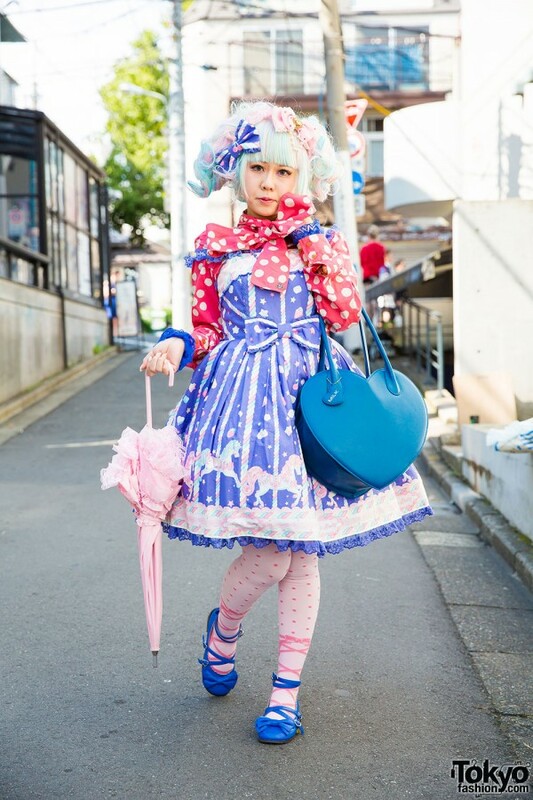 She finished off her look with baby pink stockings and matching parasol, a pair of blue, babydoll shoes from Angelic Pretty and a heart-shaped bag from Milk. She loves shopping at Milk and Angelic Pretty, (as you can see from her outfit!) 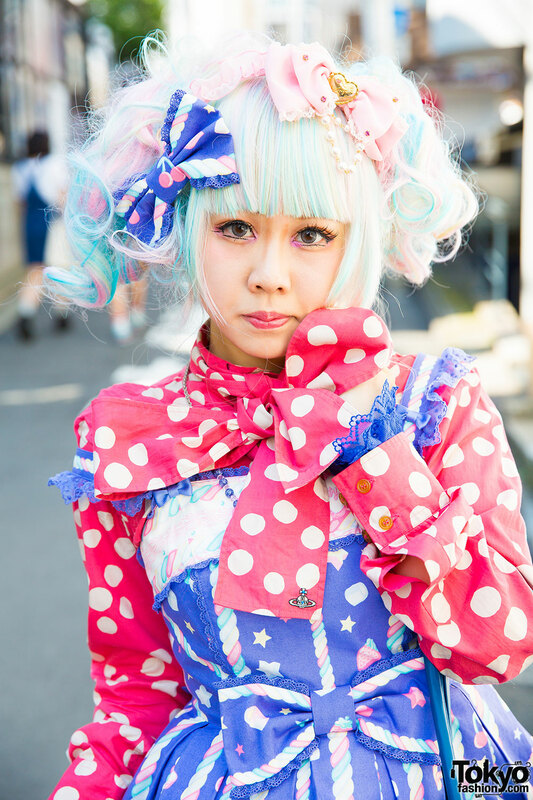 and she loves listening to Plastic Tree and YU-SEI vivit AZAZEL. 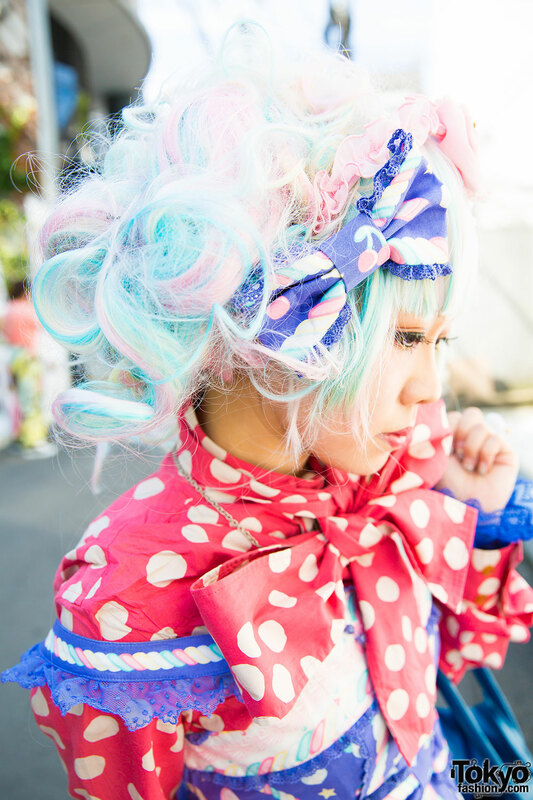 Catch her style in her Twitter account.